According to Forbes, influencers are the new celebrity endorsements. Influencer marketing is perhaps one of the most successful ways for any brand to get in front a new audience and build trust quickly with potential prospects. Because influencers have taken on a more prominent role in leveraging marketing platforms to touch such a large, targeted market, several brands have discovered how to create winning partnerships between them and influencers to promote their product while adding value to the influencer’s audience. When done correctly, these collaborations yield incredible returns for businesses who implement them. You see, as the number of customers using ad block technology continues to rise with 26 percent of desktop users and 15 percent mobile consumers, traditional digital advertising channels will have limited effectiveness. You must find creative and authentic approaches to reaching and connecting with today’s consumer. Influencer marketing is the answer. We’ve outlined 5 top reasons why your small business should embrace this concept and use it to enrich your inbound strategy. Influencer marketing allows you to tap into new markets that you wouldn’t reach as quickly with your present marketing strategies. You gain immediate access to potential customers that already trust the recommendations of your chosen influencer. In fact, 92% of consumers trust influencers over advertisements and celebrities. Your influencer’s influence goes beyond their social media audience. They will leverage their blogs, video platforms, and podcast stations on your behalf to spread the word about your brand. By establishing this win-win partnership, you’re simply working smarter with your strategy while tailoring your message to appeal to an actively engaging market. Expand your reach and influence with influencer marketing. Linking up with influential bloggers for features and reviews of your products or services helps you build high-quality links that drive traffic to your site and improve your search engine ranking. Although you may have established credibility in your industry, there’s nothing like having an influencer radically boost your ranking by promoting you on their social networks. Bettering your SEO should be a top marketing priority. Links are a key aspect of improving your SEO and influencer marketing offers the ability to create more links to your site. Another reason why your small business needs to embrace influencer marketing is that it brings increased visibility and exposure to your content. You see, there are ample markets that are not familiar with your brand or the value you add to the marketplace. They may have seen your product but because there’s no personal experience or relationship made, they’ve been less likely to engage. Influencers are the bridges that can connect your brand to new markets and bring more awareness to the real message behind your name. Choosing the right influencers in your respective industry that can plug your brand on their marketing platforms provides a clear gateway to advertise to different people. They will know that your brand exists and what gives you that slight edge above the rest. Finally, because those consumers are part of an audience related to your niche, they’re more likely to be interested in your products. Use influencers as conduits to invite new people into your culture and get an authentic taste of your brand. Building your subscriber list is the lifeblood of your business. When cultivated and honed properly, marketers have noted a whopping 760% increase in revenue from segmented campaigns (Source: Campaign Monitor). Creating opportunities in your digital strategy to effectively grow your email list will significantly impact your bottom-line. Influencers can help you accomplish this feat! As previously mentioned, when you hone in on the right influencers, you’ll boost your visibility and raise awareness within a relevant market. Consequently, this improves the quality of leads that you generate. People who are now interested in your product (or brand) will likely visit your website with the opportunity to join your subscriber list. 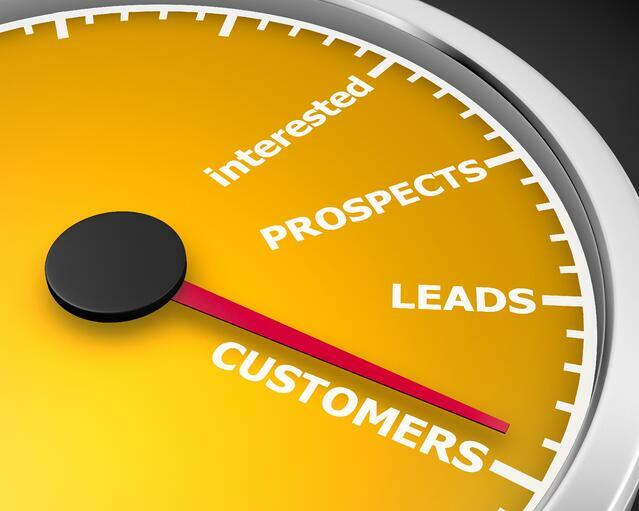 So, not only are you driving ongoing traffic to your website, you’re also capturing fresh leads towards building your sales funnel and fostering new relationships. According to Entrepreneur, influencer content generates ROI that is 11 times greater than traditional digital campaigns. Additionally, a study showed that influencer campaigns earn $6.85 for every $1.00 spent. These impressive numbers reveal that the power behind influencer marketing and its great impact on your bottom line. With 74% of consumers using social media to make purchase decisions, your conversions can be incredibly rewarding when coupled with an influencer backing up your product. An excellent example of a brand who’ve successfully executed an influencer campaign is affordable luxury watch brand Lord Timepieces. They partnered with a community of micro-influencers in the lifestyle and fashion categories to promote discount codes for their products to encourage sales. Each influencer was given a timepiece they could market to their followers and they all posted an eye-catching image of the watch with their unique discount code, which could be used to get 10% off on purchases from Lord Timepieces. One influencer generated over 8K likes and 47 comments in 3 days. Promoting discount codes through micro-influencers is a great way to optimize your digital marketing efforts by giving followers a reason to buy your products. Brands are leveraging influencers to accelerate and amplify their digital strategy to boost visibility, increase awareness, grow their sales and build new relationships. You can begin capitalizing on this movement that has huge potential in creating impressive results for your business. Not only does it position you for long-term growth, you are offering amazing value to fresh audiences. Need help crafting a winning inbound marketing plan that gets in front of your audience and generates fresh leads? Reach out to us here and let’s chat! We’re equipped to help accelerate your business goals!